Philip Camilleri graduated in Medicine and Surgery in 1995 from the University of Malta. He commenced specialist training in Oxford in 1999, having successfully obtained Membership of the Royal College of Physicians (London). Subsequently he achieved Fellowship of the Royal College of Radiologists (UK) in 2003. In 2005 he gained entry into the specialist register in the United Kingdom. 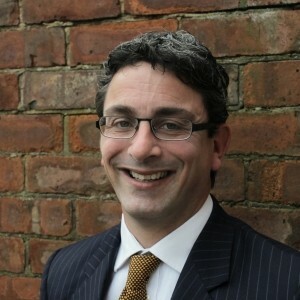 Between 2006 and 2012 he worked as a consultant clinical oncologist at Northampton General Hospital, forming an integral part of the urological and lung cancer services. He helped to deliver the Low Dose Rate Brachytherapy Service for prostate cancer gaining valuable experience. Stereotactic Body Radiotherapy for lung cancer. Setting up and delivering the Oxford Low Dose Rate brachytherapy service. Helping to roll out Intensity Modulated Radiotherapy for prostate cancer which includes treating the prostate alone, the prostate bed after surgery and the pelvic lymph nodes. Developing Stereotactic Body Radiotherapy for prostate cancer. Philip Camilleri is married with three young children. He lives in Oxfordshire and enjoys sport including tennis and cycling. He is fluent in English, Italian and Maltese and can converse in French. IMRT and IGRT to the prostate and pelvic lymph nodes for high risk disease. Low Dose Rate brachytherapy for low and intermediate risk disease. Isotope therapy with Radium 223 for metastatic cancer support.